As the wall is set on the ground, it needs to have a strong foundation. 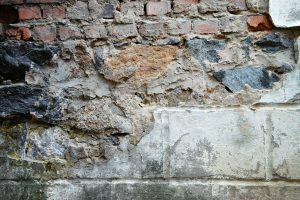 The ground will settle over time and a sure foundation will prevent the materials of the wall from cracking or becoming unstable. The material of the base will vary depending on what the wall has been constructed of. However, for brick or concrete, a concrete foot is necessary. The material used to construct retaining walls can vary. The cost of the building the wall will depend on what material is selected. Timber is the least expensive choice, but it is also the most likely to rot or experience other damages that require it to be replaced. Brick and concrete may be more expensive, but these options are much more durable. When constructing the wall, it is very important to pay attention to how water will affect it. Groundwater should never build up against the retaining wall. There needs to be a way for water to get past the wall. Weep holes or drain lines can be used as a solution to this problem. Another important note to make is that when constructing a retaining wall, it should never be more than four feet tall. A significant amount of pressure can be exerted on these walls and anything higher than four feet can cause serious injuries if the wall were to collapse. If you need a taller wall, it should be constructed by a structural engineer. Retaining walls may be beneficial or even necessary on your property. They should always be safely constructed by an experienced professional to ensure that it is long lasting and safe.